This trail follows the northern shore of Lake Nordenskjöld between two accompanying and juxtaposing sights. On the one hand, the multi-shaded drama of the Cuernos (horns), jutting up into the sky; and on the other, the arresting blue of the lake. This fairly flat hike holds a lot of appeal as it fringes Lake Nordenskjöld with its startling shades of blue. 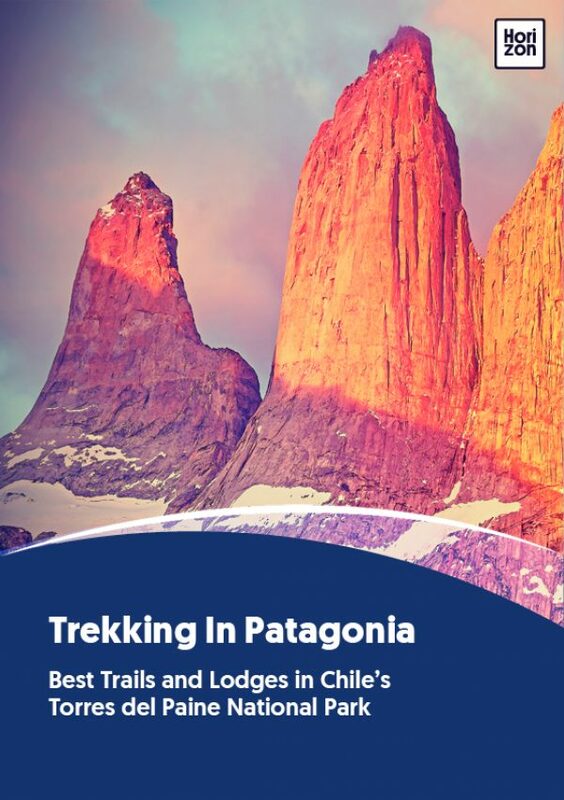 If you’re looking for one of the best photo ops of Torres del Paine’s iconic peaks, look no further. This hike has it. Paso Los Cuernos hiking route holds some of the best views of the iconic Los Cuernos mountainscape. How to recognize “Los Cuernos”? By their stripes and their shape. The picturesque cuernos are made of black slate sitting atop a grey granite base. This layered combination of colors, along with their twisted horn shape, win them their fame. The hike is approximately 11km (7 miles), making it one of the shorter options among the classic day hikes. It takes 4-6 hours to complete, depending on start and end points and hiking stamina. The trail is rated easy to moderate, making it popular as a leisurely relief after more challenging hiking days, as a half-day challenge, or as an option for less experienced hikers. It’s common for hikers to complete this trek between Refugio Los Cuernos and one of the park’s hotels. It’s also part of the W and Paine Circuit trails, so you’ll see regular traffic during spring and summer.